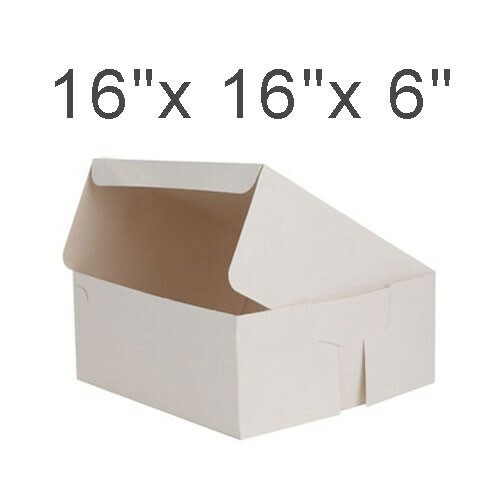 Cake Boxes - 16" x 16" x 6"
The dimensions of the cake box are 16" x 16" x 6 It is a 1 piece box. There is no inserts for the cake box and we normally recommend they be made on a 16" board to fit the box. Easy folding assembly; great for gifts and favors as well.